President Trump’s press secretary is standing by his assessment that Donald Trump’s inauguration audience was the largest in history. Sean Spicer argued Monday that if Internet live streams are taken into account, more people watched the inauguration than any other. “If you add up...all of the various live streaming,” Spicer said in a press briefing Monday. “I don’t think there’s any question.” He cited Nielsen ratings as well as CNN livestream numbers, which did not fully back up his claim. Spicer was criticized over the weekend after he made a statement lashing out at the media for reporting on the size of the inauguration crowds, which were smaller than the crowds for President Obama’s 2009 swearing-in. He told reporters Monday that he would not intentionally make false statements to the media. 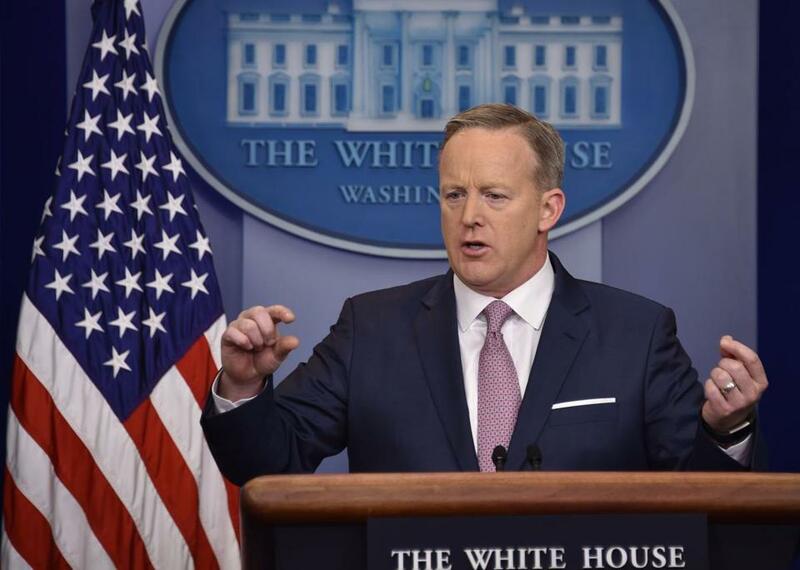 “I want to make sure that we have a healthy relationship,” Spicer said. He added that ‘‘if we make a mistake, we'll do our best to correct’’ it. Clarification: This story has been updated to clarify Spicer’s statements about the inauguration livestream audience.